VP/Atlantic recording artiste Sean Paul is set to unveil his first new music in over three years. A new track, entitled So Fine, premiered April 25, on the Grammy-winning superstar’s own www.allseanpaul.com. The track will make its radio debut on Friday, May 1. So Fine, produced by Stephen “Di Genius” McGregor, heralds the upcoming release of Sean’s hugely anticipated fourth album. “IMPERIAL BLAZE” Ã¢â‚¬â€œ which follows 2005’s RIAA platinum-certified “THE TRINITY” Ã¢â‚¬â€œ will arrive in stores and at all online retailers on August 18. 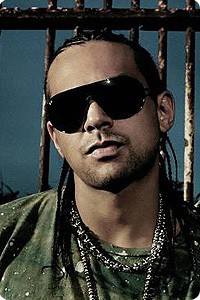 Sean Paul is the most successful Jamaican artist of all time on the U.S. charts, with three #1 singles (Temperature, Get Busy, and Baby Boy), five Top Ten hits (including We Be Burnin and Gimme The Light), and eight chart entries over two worldwide multi-platinum albums. “THE TRINITY” confirmed Sean’s stature as truly an international superstar, with total global sales in excess of 4 million. The album followed Sean’s 2002 RIAA 2x platinum certified VP/Atlantic debut, “DUTTY ROCK,” which sold more than 6 million copies worldwide. For further information please contact Carlette DeLeon at 876-754-1526.